Be prepared to traverse the high seas in this adventurous program. Discover how history was made by explorers, commanders, traders, daredevils, astronauts, and even pirates who captained sailing ships and flying machines! World history will unfold from the earliest traders on the Mediterranean to astronauts building the space station even now. As you travel through “Adventures in the Sea and Sky,” you’ll encounter the technologies that let sailors conquer the stormy Atlantic and Vikings raid the northern seas. You’ll find out what caused the Age of Exploration and how controlled flight became a reality — and changed the world forever. Adventures in the Sea & Sky is a world history in a year program designed for students from 4th – 7th grade. 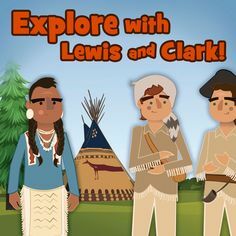 With the simple addition of our “Younger Learner’s Guide” you can even include your K – 2nd grade students in your adventures! To easily include your 8th – 9th graders just add our “Older Learner’s Guide” to the program. This program contains many unique experiences, but before we dive into those, let’s look at how this program can be a great launching pad for further history study. 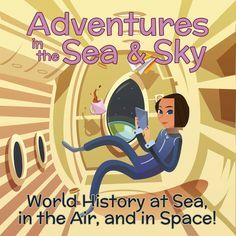 In Adventures in the Sea & Sky you’ll discover history from a unique perspective — looking at the development of the technology of sailing, flight, and space travel. You’ll be amazed at how the major trends in history originate in the technologies around ships and sailing! This program offers a bird’s eye view of history, and is a great launching pad for a four-year world history study. Families are encouraged to experience our other history programs after seeing the big picture in Sea & Sky. The resources in our Sea & Sky program are now printed in stunning full color! We have uniquely selected each resource to create a world of adventure for you to enjoy every day. See some of those resources highlighted below. What was life like on a ship? What was it like to live aboard sailing ships, airships, and spaceships in history? Discover life on rolling seas, in the atmosphere, and out in the vastness of space. There’s a lot to explore! You will learn all that a sailor would need to know and the skills they needed to survive in the open ocean. You’ll check out sailor lingo and the different watches on a ship. You will learn what sailors believed and what they wore. You will even to know what kind of knots sailors would have to tie. Once you master the basics of being a sailor you will be promoted to a whaler. Master the basics of a whaling ship and understand how lighthouses were used to keep them safe. Want some bean soup? Cook some bean soup and really understand how good your family’s cooking is compared to what these sailors ate! You will even get to go along on a whale chase! Next, you will be transported to the experiences of an astronaut! Find out how to stay healthy in space and what kind of food you would eat. You won’t want to complain about cleaning your room after hearing about how astronauts kept things clean in outer space. Get geared up as an astronaut and discover how much equipment it takes to explore — and survive in — space! “Sailors, Whalers & Astronauts” will bring the adventure of the open ocean, the atmosphere, and outer space right into your living room. This notebooking resource puts you right in the middle of a grand adventure. You begin by being brought onboard “The Seafarer” as a cabin boy named “Crow.” A man named Hawk will be training you in the ways of all things ship and sailing. As you work through our “Sailors, Whalers & Astronauts” resource, your Captain’s Log will bring your story to life. With interactive notebooking pages, you will constantly be applying what you learn and engaging with the material you encounter in other resources. Learn about sailing culture with engaging questions, activities and mapping assignments. Discover how the technology aboard ships advanced and even changed sailing completely! Read about how ships were used in war time and see us highlight important ships throughout history. After spending time on ships, you will go on to learning about flight and even space exploration! Another wonderful part of this notebook and this program as a whole is that a science component is woven throughout the program. For students 6th grade and younger it is a full science credit! Each week in your Captain’s Log you will have a science section that gives another layer of education and enjoyment to this notebook. 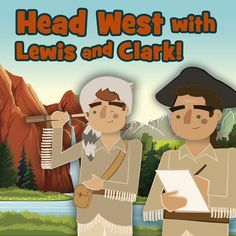 As you learn from your mentor Hawk about the ins and outs of sailing, the advances in technology, and even the invention of flight, your students will experience an adventure that lasts the entire year and can be kept for a lifetime! To see a sample of this resource click on the title above and then select “Resource Sample” at the top of the description. You will want to see inside this amazing 300+ page resource. 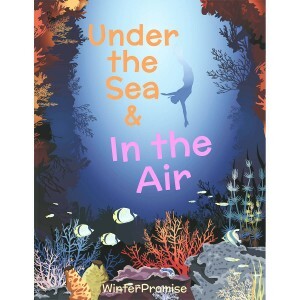 To add to your science component that is included in your Make-Your-Own Captain’s Log you will receive the “Under the Sea & In the Air” resource. This will be your primary science resource. You will study the ocean floor, learning about its features. You will get a taste of what saltwater is and learn about ice on the ocean. 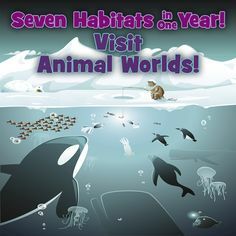 You will learn about different marine life such as penguins, whales, and other sea mammals. After the ocean you will explore the atmosphere. Your students will create a weather log and learn about the atmospheric conditions. They will get to know how the sun affects our weather as well! Once your travels in the atmosphere are finished, you will shoot up into outer space to discover our sun, the planets and the moons that circle them. Read about the life of a star and think about how many galaxies there are in the universe! Every week you will get to enjoy an activity that is fun and educational. Together with your Captain’s Log and the other science books in Sea and Sky, this resource will cover your science for the whole year! In this blogging series we are going to show how we have uniquely crafted each Themed Program to provide the same wonderful educational ideals but offer very unique experiences. Each program has a unique feel and experience to it so that your family doesn’t feel as if every year is the same. In our Adventures in the Sea & Sky program your family will go on a high-flying and exciting adventure across history on the decks of ships, the seats of airplanes, and the cockpits of space craft. This program marries a rich and wonderful education with amazing adventure and enjoyment. We would like to invite you to go on an adventure with your family this year. You’ll truly understand why history unfolded the way it did, live the life of sailors, crew members, and astronauts, and make memories! “The sea is everything. It covers seven tenths of the terrestrial globe. Its breath is pure and healthy. It is an immense desert, where man is never lonely, for he feels life stirring on all sides.” – Jules Verne, 20,000 Leagues Under the Sea. When you hear a carpenter talk about a custom cabinet he just installed you will hear about the quality wood used, the dovetail edges, the solid hardware, and the attention to detail that make it a solid piece. But you will also hear about the special touches he added to make the cabinet unique. When a builder talks about that beautiful home he just built you get the sense that he spent time and energy to make this home solid, firm, and safe, while also making it one-of-a-kind. An artist works to create a unique experience for the observer in each painting that he creates, even though he uses his well-practiced technique and eye for color to also make sure it is as beautiful as can be. This craftsmanship is what we hope you find in WinterPromise’s Themed programs. Inside each of our themed programs there are numerous foundational aspects that are similar, but those special touches are still there – the pieces of each program that make it unique. 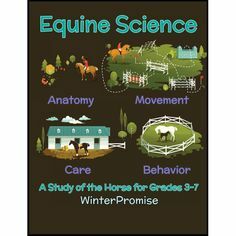 WinterPromise programs are based on solid educational principles, proven to give academic success, but still contain unique and individual touches that make them one-of-a-kind, joyous learning experiences. Here is a short summary of the universal aspects of our themed programs. These things are consistent in our programs because they grow out of our core educational values. Every themed program is inspired by strong Charlotte Mason principles. In each one of our Themed Programs we pick living books that pull your readers into a story that helps teach the material. This is much more effective than using stale textbooks. Each of our programs has a heavy focus on narration and discussion as a way to measure your children’s comprehension and understanding of what they are learning. In each of our programs you will find that we seek to elicit excitement for the material and find joy in learning. These principles are foundational to everything we do. Another part of our themed programs that is true across the board is that we incorporate multiple avenues or “paths” of learning for your children. Whether you have a child that is auditory, visual, hands-on, people-oriented, or one that enjoys learning digitally, we have a way for them to learn week to week. 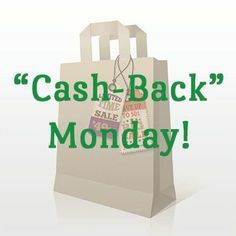 We do this through activities, research projects, reading assignments, opportunities for presentations, DVD and documentary suggestions and much more! Our themed programs are all designed to do as much work for the parents as possible. Many of our parents come to WinterPromise saying, “I liked x curriculum but I felt like I had to work hours and hours just to make it work for us.” We understand that our moms are busy enough as it is, and any curriculum that asks you to do more work than it did is just not worth it. That means we have designed our programs and our Teacher’s Guides as “Open & Go” resources. If you have your books and your guide, you are all set to start your day. Discussion questions have notes for the parent to help guide the discussion, online links are given for extra research, activities are suggested for older students, and everything is scheduled daily for you. These ideals are consistent through every program no matter which one you choose. You will find these things in each experience you have with us. That does not mean each program is stale and every year is the same. In fact, it is exactly the opposite of that! We have handcrafted each themed program to give a unique experience for your family. One program will have a certain look and feel while another program may provide a completely different experience from the year before! WinterPromise is a company that puts our heart and soul into every product and program that we design. We want every program, every book, every activity, every memory you make with us, to be something that is a wonderfully rich experience. We want our families to make new memories and go to new places with their family every single year. Yes, our educational values that we hold dear are consistently present throughout all of our materials. Yes, you will see great notebooking across the board. Yes, you will read wonderful books as a family in every program you experience. Yes, you will have a wealth of great activities to choose from each week in every program. No, you will not think of every year as the same. Every program and every year is designed to be completely unique. We do this so that every year you are challenged to grow as a family in new ways. We present our material in new ways in our programs so that your children are given every opportunity to enjoy what they learn. Giving new experiences and new ways to learn keeps your children expanding their imaginations and increasing their sense of adventure. When they open their WP resources for the first time they get to wonder, “What adventure are we having this year! ?” Joyful and excited learning, inspired through new adventures, is a cornerstone of the WP educational model. Joyful and excited learning, inspired through new adventures, is a cornerstone of the WP educational model. In this blogging series we will go program by program and help you discover how each program is unique in what it can offer your family. We want to show you how each program not only teaches new material to your children, but takes your family on a handcrafted adventure designed to increase your children’s love and joy for learning. There are all kinds of families in the world. There are the families that laugh a lot together and are really loud together in public places. There are the families that never talk and don’t seem to enjoy being around each other. 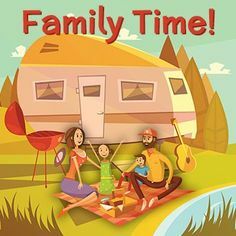 There are the families that always go on vacations together – they are the talk of the community! Families that are always hiking or outdoors are often seen as adventurous and exotic. Everyone knows the family that plays board and card games together. The reason we think about families doing certain things is because we intuitively understand that each family has a family culture. WinterPromise wants to help you create your unique family culture so that you can provide a healthy and dynamic family environment for your kids. On Dictionary.com there are a few ways to use the word culture, but the one that best fits what we are talking about is the 5th definition. Every group of people, no matter how small or how large, has a culture. Every community, church, family, group of friends, and social club has a culture. People make culture. Which means even if you are not trying, your family has a culture. “The behaviors and beliefs.” What your family does and what your family values will dictate your family’s habits, traditions, and patterns. Ask yourself, “Why do we do what we do?” You do everything for a reason, whether consciously or unconsciously. Do you get pizza every Friday night for the family only because you love pizza? Obviously you love pizza, but you do it for more than that. You love having a casual meal that is a family favorite, where you can watch a movie and just chill. That is a part of family culture. You value something, and it is very different from the family that always gets Chinese and plays Scrabble. Every family has traditions that form a rhythm to their lives. Communication reveals a healthy or an unhealthy culture. Everybody knows that communication is important to the health of any relationship. More than that, the type of communication that happens between people reveals the health of that relationship. Your family is no different. If the communication in your family is primarily composed of arguments, anger, conflict and rudeness, then most people are going to understand that the family culture is very unhealthy. On the other hand, if your communication is full of laughter, patience, fun, enjoyment, lengthy conversations and investment in others, then most people are going to see an amazing and healthy family culture. Communication and family culture go hand in hand. If you have good communication, you will probably have a healthy family culture. If you have a healthy family culture, then you will probably have great communication. Promote good communication. Patience and understanding are key elements, along with forgiveness, in having a family that communicates well. The reason this is so important is that if you have good communication, your family will really love being together. If you see a pattern of poor communication between certain children, make sure you work on that right away. The longer it is let go the harder it is to uproot. After being able to talk and enjoy each other as a family, you can begin focusing on fine-tuning your family culture. Family isn’t all fun and games. In fact it mostly is not. Being a part of a family usually means conquering projects together, helping family move, fixing a water leak in the basement, making schedules work and etc. Your family needs to be able to work together well and enjoy working together. Life will be full of to-do’s and being able to work together as a family will be a huge step in creating an amazing family culture. Working together doesn’t have to be a chore. There are so many times when a family activity or project can turn into an amazing memory. Laughing together, making gentle fun of one another, enjoying success together – these things can all be enjoyed when working together. Building a healthy family culture is something most parents want but too often don’t know how to achieve. You may be asking, “What about fun? Shouldn’t we be talking about fun?” Certainly, fun is a huge part of a healthy family culture. If you can’t have fun together then there is some work to do. Talking about fun, though, does not create a “fun” family culture. What does create a fun family culture? There is a lot to it, but if you can work together well and communicate in a healthy way, then you will create a fun family culture. Families were designed to work together and to have fun. For most of history the normal way to have fun was to have fun while you worked. Today, things are a little different. We aren’t fighting for survival every day, which means we create categories to describe what we’re doing – like doing something fun or doing work. We strongly believe that if you create a culture of teamwork and healthy communication your family will have so much fun together! How Does WinterPromise Help the Parent? We are continuing our series on answering some of the most common questions we hear at WinterPromise. How does WinterPromise help the parent? This question is often not said so directly, but parents ask a lot of questions that relate to this issue. How do we help our parents succeed in homeschooling? A lot of curriculums puts the responsibility completely on the parent! 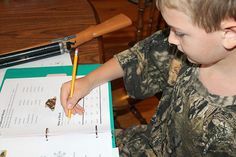 It is entirely up to the parent to have a rich and memorable experience homeschooling. While the parents are the primary reason homeschooling will be successful, we here at WinterPromise want to do as much as we can to make it as easy on the parent as possible. What does that look like? Let’s take a look! 1. WinterPromise helps the parent by ensuring there is as little prep work as possible! There is a lot in a WinterPromise program. We have a lot of pride in being able to offer huge value in our programs. We want to give you a rich, deep, and joy-filled homeschool experience. What that means though is that parents that are new to homeschooling and even more experienced homeschoolers can look at our curriculum and be overwhelmed! We want to assure you that we will help you succeed! One of the central values our founder and author Kaeryn holds to is that parents should be doing as little “behind the scenes” work or prep work as possible. 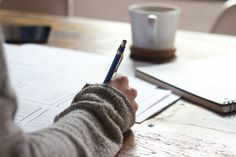 Life is busy enough let alone homeschooling, and you don’t want to be devoting more energy than is needed working to prepare lessons, organizing activities, scheduling and tracking progress etc. We want to do as much of that work as we can! We are an “open-and-go” curriculum. Which means: as long as you have your materials, you should be able to open up your guidebook and go! Every Resource Scheduled Every Week – We have everything from our activities, reading, independent assignments, teacher notes, weekly goals, interactive online projects, DVD suggestions and anything else you could imagine scheduled and laid out for you. You don’t need to plan anything! We have everything planned for you. With WinterPromise you will be able to wake up, get your coffee, get breakfast going for the kids and then start your homeschooling without worrying that you have what you need to get something accomplished. Activities Designed For Simplicity – We believe that every activity you do should be something that adds to your educational experience and to the understanding of a particular subject. Activities should not be just plain busy work. We offer great activities every week for you and your students to dive right into. To help the parent we have described each activity as Open & Go, Easy, Moderate or Difficult. Most of our activities fall under the Open & Go to Moderate range and are completely doable. You will also be given at the beginning of your guide a list containing everything you will need for the year to complete the activities and also every week you will be given what you will need for that particular week. 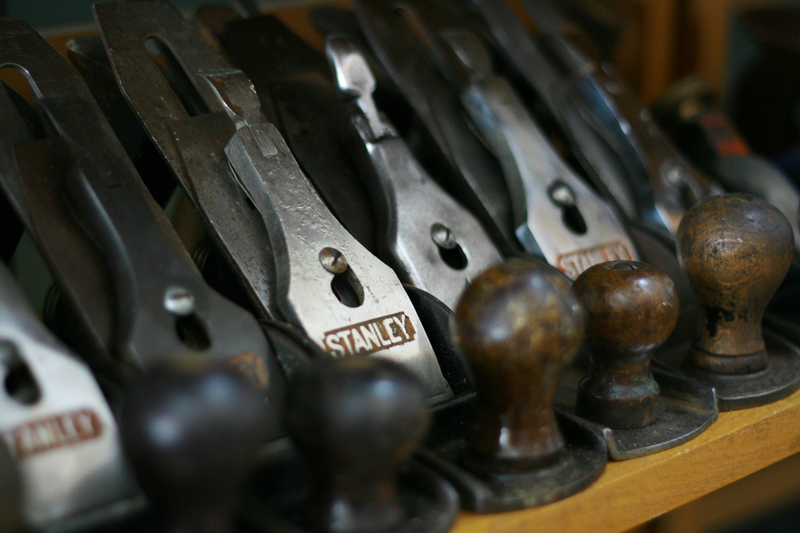 Most often they include normal household craft materials. We do everything we can to make sure our activities are designed in such a way that you are spending more time learning and less time prepping. 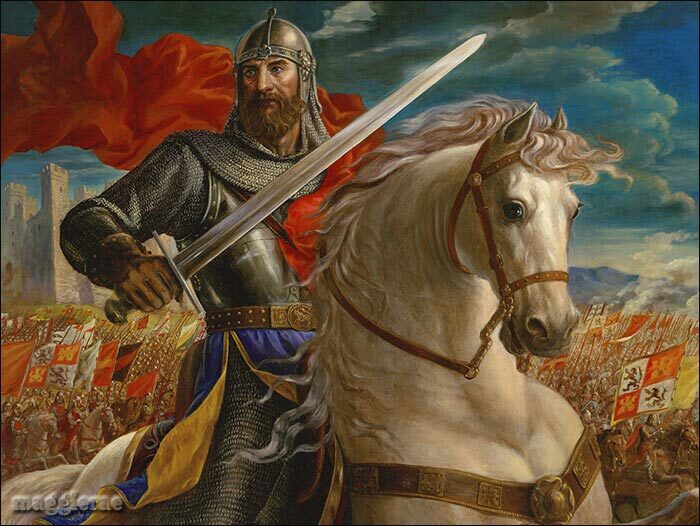 Teacher Helps – Do you ever feel out of your depths when it comes to a particular issue or time in history? Do you ever feel that you are not as gifted a teacher as your children need? We have all felt those things. To address these concerns we have packed our teacher guides with so much information and help that will be invaluable to you the parent! We include in each guide several pages devoted to informing you about the different learning styles and intelligences. This is really great for you to know! You are given tips on how to use the guide even! For those that feel like they struggle knowing what the goal for a given week is, we offer weekly teacher notes so you know exactly what you should be emphasizing. We want you to succeed! 2. WinterPromise wants to help you create memories! Homeschooling parents put so much pressure on themselves. They guilt themselves into feeling inadequate as a teacher and/or parent. The cause of this is often because the motivation or standard by which they are evaluating themselves is not helpful or accurate. Ask questions like: What is your goal? What are things that really matter to you and your family? What do you want your family to have by the end of this? 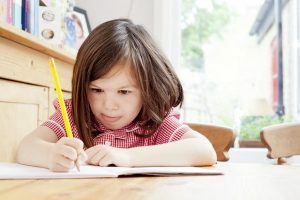 Homeschooling offers the unique opportunity to be a part of the learning process. You an be a part of the ups and downs, successes and failures. What an amazing opportunity! If you are only concerned about a test score at some state standard test, we believe you are missing the point. Knowledge is vital and we teach our kids ultimately so that they will learn. But if you are homeschooling purely for the transfer of knowledge you are missing out on so much! WinterPromise is designed to help you create a family culture that is centered around making memories and experiencing joy! Learning should be a joy and it should be shared! We want you to focus on the unique growth of each child, and to grow with them! How do we do that? Laugh together, read great books together, make a mess of a science experiment together, enjoy a nature walk, run around in the rain when you should be doing math, cook meals together, journey together into different cultures, go on adventures together! WinterPromise wants to offer that to your family! Create memoires together; because memories flow from the wealth of love and joy in a family. This will take the pressure off of you and will enable you to succeed in a way that you never thought possible! If you are willing to not blame, guilt, or crush yourself along the way you will find that you can go on a wonderful journey with your children as you homeschool. WinterPromise wants you to succeed. Parents are the most important relationship a child has. Parents have everything to do with their development. Therefore we at WinterPromise want to equip and help you the parent as much as possible. Let us become a part of your journey. Michael Brooks https://winterpromise.com/wp-content/uploads/2018/02/A_WinterPromise_Blue-Green_Transparent_Lined_Small_v2-300x58.png Michael Brooks2015-05-15 11:47:172015-10-23 14:44:54Conquering 4 Common Questions Families Ask WinterPromise: How Does WinterPromise Help the Parent? How Long Does A Day With WinterPromise Last? This question seems like a very simple question at face value. It is simple at first, but behind this question are there are questions like: What will you be doing? How long are you reading? How demanding is the program? How de we fit in Science and Language Arts? There are a lot of practical questions that are behind this question. We hear this all the time. So in this post we will talk about the practicals of WinterPromise. How long it will take, how to fit in other aspects of WinterPromise and how demanding it is. Here at WinterPromise one of our greatest joys is that we can encourage and comfort our families when they have fears. There are two motivations for this question. Our parents come from a variety of backgrounds. Some have been homeschooling for 10 years and are very experienced in managing their kids and the homeschool lifestyle. These families are usually concerned about having a day that would end up being too short, or not demanding enough. While other families have been homeschooling for only a year or two, or even shorter! They are still trying to adjust to and manage the challenges that the homeschooling lifestyle brings to the table. WinterPromise is unique in the fact that inside of our curriculum we can comfort and excite those on both sides of the question. If you are doing a WinterPromise Themed Program, and depending on the age level of your program you can have a range in the time you will spend ‘doing school.’ Usually you will spend an average anywhere from 2-5 hours a day. This includes your time with them and also their own independent studies. The beauty of WinterPromise is that inside of our programs we have so much rich material that if you wanted to do more, we have extra resources, tons of activities, online resources, research projects, DVD suggestions and so much more! If you want to be more rigorous we offer the opportunity and the resources to do so. At the same time if you want to take it easy and experience your education with your children in a more relaxed atmosphere, you can scale back and still get a great experience! WinterPromise can be as rigorous or as relaxed as you and your family need it to be. How Does Your Science and Language Arts Fit Into That Schedule? Now we often get a follow-up question to the above answer. If you spend 2-5 hours a day on your Themed Programs (History, Social Studies, Geography) then how do you fit in Science and Language Arts? That is a great question! WinterPromise is designed in a 4-day schedule. Our Language Arts can easily be added as an extra 30-60 minutes each day. Our Science Programs have been designed so that they can be done in a day in just a few hours! Meaning your 5th day could be spent just doing Science! This means that you get a wonderfully rich science experience and it doesn’t feel like a huge burden. Families also sometimes do their Language Arts and Science in one day so that the rest of their week is lighter. We want this work for you how you need it to. Therefore our science and language arts are designed so that while it is scheduled for you, you can also do some tweeking if you need to. WinterPromise does as much work for you as we can so that you can worry less about preparation and adjustments and more about what matters. The reason you started homeschooling was at least in part because you wanted to individually invest, mentor, and educate each one of your children. To see them grow as people, to teach them about life and the skills to be successful in life. This is where your time be invested and not into hours of preparation and busy work. WinterPromise wants to work with the parent and to work for the parent. Michael Brooks https://winterpromise.com/wp-content/uploads/2018/02/A_WinterPromise_Blue-Green_Transparent_Lined_Small_v2-300x58.png Michael Brooks2015-05-12 14:07:502015-10-23 14:45:144 Common Questions Families Ask WinterPromise Families: How Long Does A Day With WinterPromise Last? As a company we are new to a lot of people. This year a lot of you have called into our office for the first time, never hearing about us before recently! We love the opportunity to be able to impact so many families and to see our WinterPromise family grow! With so many new families contacting us we get a lot of questions, and some questions we hear more often than others. For that reason we wanted to write an article that dealt with a few of the common questions that we hear on the phones, in emails, on Facebook and beyond! Our desire is that this helps you understand us as a company better, and what you can expect when you choose us as your homeschool curriculum. This will be split into a few posts, this week we are only answering one question! This question we have heard a lot this year and have really enjoyed being able to tell people what kind of company we are, and what sets us apart. The answer to this question is not a one sentence answer, so please be patient and read along. There are many ideals that Charlotte Mason held too, but we will highlight just a few key ones. The first is: Curiosity and Discovery. Charlotte Mason believed that curiosity and discovery should be the primary motivators and backbone of learning. Young children have a deep curiosity about the world around them. This curiosity should lead to an active discovery on the child’s part during their education. They should be on an adventure of discovery while they are at school. But it shouldn’t stop when they get older It should continue throughout their childhood and even into adulthood. Charlotte Mason also believed that the books that children learn from should be what she called, “Living Books.” Dry textbooks that merely communicate facts do not engage children. This impacts learning. We all learn something quicker if we are having fun doing it! They also do not insight curiosity or a desire to discover in the child. 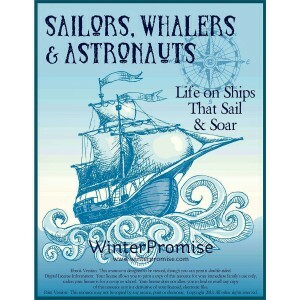 We here at WinterPromise have chosen books specifically designed to be exciting, engaging, educationally rich, and feed the curiosity of those reading. DRY BOOKS ARE A NO-NO! I am going to mention only two more ideals so that we don’t drowned in Charlotte Mason information! Another ideal that Charlotte Mason held to, was the strong exposure to nature and the direct observation of it. 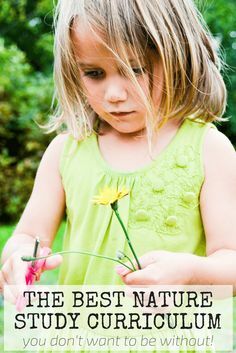 Nature walks and observation are a huge part of education for children! WinterPromise offers animal and nature studies, and in our nature studies (for example Animals and Their Worlds!) we encourage the active engagement of nature. We want our kids outdoors and engaged with the world around them! 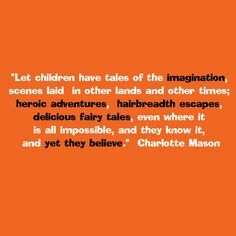 Finally, Charlotte Mason also held to the ideal that learning should be as joyful as possible. Although with Algebra, I am not sure how joyful it can be! 😉 Learning should not be joyless. Learning can be challenging and full of hard work but it should never be joyless. We here at WinterPromise always strive to present the information in a way that excites, engages and puts a smile on the face of those learning. Just a few examples are: Your students can go on adventures with Quest for the Ancient World, see what life on a ship is like in our Adventures in the Sea & Sky, learn to read while meeting new friends in our Early Language Arts and much more! We want to make learning fun! Everything we do at WinterPromise seeks to include and be underlined by these ideals! Joy, Curiosity and Discovery, Living Books, and Nature Study. 2. We are multi-faceted in our method! There is a great graphic on our website that summarizes how we incorporate all the different homeschool methods into one curriculum. You can find that here! When Kaeryn started on this journey of writing curriculum it was for a very personal reason. It was for one of her sons. This son is very unique in how he learns. He is really smart, logical, great at putting things together, but struggled in a lot of different homeschooling curriculums! Because of this Kaeryn tried out just about everything that was offered at the time and none of them really fit. What was the problem? Each curriculum had a method, and it did have benefits but for every benefit there were also weaknesses. This led to frustration for Kaeryn and her son. For example: one problem was that if she went with a curriculum that was Literature Based she found that at a certain point her son’s attention span and general boy-ness distracted him from really having a rich learning experience. Besides the fact that her son did not learn nearly as easily when hearing something read to him as opposed to other more hands-on ways. It worked for a while but as we know, in a literature based curriculum you read and read and read and Kaeryn needed more. On the other hand, she then found that if she used a curriculum that was very hands-on and activity based, it was successful at keeping him busy and engaged but that created other problems. The problems were two-fold: 1) the activities created a lot of prep work that then led to busy work. This was exhausting considering she had 5 kids to handle! 2) The activities did not offer a truly rich educational experience, and therefore the busy work and prep work were just that. Busy and prep work. Kaeryn found that she wanted wonderfully rich books and she wanted great educationally beneficial activities. She also wanted as much of the prep work done as was possible because she was busy enough! Kaeryn wanted these things for her son and herself but could not find them! This inspired WinterPromise. 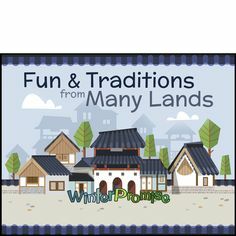 Kaeryn designed WinterPromise to offer rich learning experiences through books, activities, multi-media, observation, notebooking, interactive content. This would create curriculum. 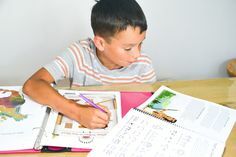 Kaeryn was inspired to bring together the unique strengths of all the different homeschool approaches while using those approaches to offset the weaknesses! This was a lot of work. But now we have done the work so you don’t have to! 3. We offer full programs! WinterPromise offers history, social studies, language arts, science and math. In all of our programs we underline everything with the ideals listed above. We also have designed the programs so that if you were to get one of our Themed Programs (which include history, social studies and some science!) you could include multiple students within the same program that are in different ages and grades. WinterPromise is unique in how we create each program so that you can easily tailor is to your students needs. Whether that means you have a slightly lighter work-load for one student or you do every single project, activity, and reading assignment for the student that is older. We make it easy for you to include multiple students into one Themed Program, and this saves you money and time! There may be lot more questions you may have and if so please visit our FAQ page or call us if you have a more specific question: 802-372-9200! We are open weekdays, 9-5, EST. Michael Brooks https://winterpromise.com/wp-content/uploads/2018/02/A_WinterPromise_Blue-Green_Transparent_Lined_Small_v2-300x58.png Michael Brooks2015-05-08 14:37:152015-10-23 14:45:31Conquering 4 Common Questions Families Ask WinterPromise: What Kind of Curriculum is WinterPromise? Parents have the best, the hardest, and the most important jobs in the entire world: raising our children. Parents need a community to come alongside of them and encourage them. This may be friends, neighbors, church, family, or even reading materials such as magazines, blogs or other resources. No matter where you are getting your support from we all need it. We at WinterPromise wanted to compile some resources that we think will encourage you as parents and as couples during your journey. Here are 10 resources we recommend for you to be checking into and looking for. This is a network of Mom’s that share experiences, recipes, links, encouragement and life together as. On their Facebook page you can find a community of people ready to share with and encourage you. You will also find some great recipes and homeschool helps! This website is done by a Christian couple with great advice, encouragement, and even material to challenge you to grow! They have great resources and articles that will really give you and your spouse great conversations to have together. Marriage is the foundation for a successful and thriving family (you can read more about that here!) and we want to encourage you to cultivate an amazing marriage! You can follow them on all Social Media Channels including a great Instagram! Similar to the Hip Homeschool Mom’s network, this website has TONS of recourses, reviews and much more. They are very organized and you can find a lot of great information for new Mom’s and new homeschool families. 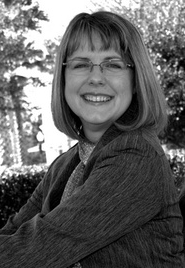 This website by Cathy is a GREAT resource! If you want detailed and thorough reviews to help you make decisions about different curriculum options, this is the website for you! This book is specifically recommended by Author & Founder of WinterPromise Kaeryn Brooks. This book gives parents a vision and specific goals for your child as you parent. This book is based on Charlotte Mason her ideals which are central to what WinterPromise does! The book focuses on character development, good habits, joy, the role of discover in learning and a variety of other topics! This is more than just homeschooling, this book gives you great life advice. A must-have for all parents! This magazine is a popular magazine. And it is not a perfect magazine. But this magazine gives great advice for real life women. There is fashion advice, but it is realistic and is fiscally responsible advice. There are great exercise and workout advice for women with a busy, real life. You will also find budgeting and financial advice and other practical advice. And the covers are usually wholesome and wouldn’t need to avoid the family living room coffee table unlike some magazines today. This is a great women’s magazine! 10. Your Church or Close Group of Friends. There is nothing more important than having a close group of friends that can support you, care about you, encourage you, and give you great advice. Some people find this in Church’s while others who aren’t involved in Church find it in a close group of friends. We advocate Church, but the bottom line is that we need each other. We need friends, neighbors and family to help us on our journey. Find a good group of people that challenge you, encourage you, give you a different perspective, and love you. That is so valuable! Double dates are a great way to build a friendship that would really encourage you and your spouse in your journey through life. We hope this has been a help! We at WinterPromise care about our families and we want to see our families thrive and that is why we compiled this list. 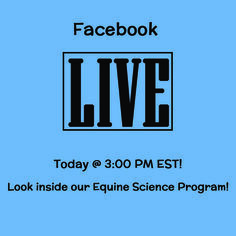 If you have any other resources you would like to share, go to our Facebook page and post them so that our community can be encouraged by you! We’re walking through the woods on a damp Spring day. The Robins are back, singing us an April song of return. The vernal pool by the edge of the familiar path is back again and our children race to greet the swampy waters with a warm welcome. “They’ll be toads soon, Mama,” my eight-year-old daughter informs me. She’s beaming. And she knows this as fact because we’ve studied and enjoyed the tiny toads here for as long as she can remember. Our youngest son is sloshing through streams and puddles, curious of every new and living thing. Our eldest is gazing up at the birds overhead, commenting on the roar of the fast flowing river that was frozen solid a few weeks ago. This is an afternoon of study in our family. And it is the glory and enjoyment of this kind of learning that drew me quickly and easily to Charlotte Mason’s philosophies. I remember the first time I heard about Charlotte Mason. It was at a local Charlotte Mason homeschool meeting. I attended very reluctantly, nearly overcome with nervousness. These mothers all seemed so intelligent, so purposeful, so full of experience and wisdom. I poured myself a Herbal Tea and sank down into a couch, hoping no one would force me to speak. I didn’t even know who (or what!) Charlotte Mason was. But I had been invited by a trusted friend and I felt driven to go. Boy, am I glad I did. That first meeting proved to be a defining moment in not only my homeschooling journey, but my life. I was completely enthralled by the philosophies and methods of this new found friend, Charlotte Mason. I plunged into reading books, blogs, articles, everything I could get my hands on to understand who Ms. Mason was and why her educational ideals were so revered. 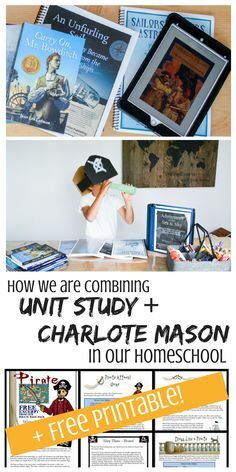 As a new homeschooler (this was five years ago now), I was surprised to learn so many of the things we were already doing in our home actually followed many of Charlotte Mason’s mehods! We were already reading countless high-quality living books, and we were already enjoying daily walks in nature with a focus on finding beauty in God’s creation. We already did narration naturally and I loved spending time in God’s word and singing and playing with our children. To be honest, I always felt guilty about spending so many hours ‘simply reading’ and playing out of doors with the children! I thought there should be more focused ‘learning’ time. As a new homeschooler and a young Mom, I didn’t see the truth – that reading and spending time in nature with my young children was the perfect way for them to learn and grow! When I learned of Charlotte Mason’s philosophies towards living books and nature study, I could have jumped for joy! What a wonderful feeling to be validated in what I knew my heart was telling me about what children need! Although all of Mason’s ideals have made their way into the various nooks and crannies of our homeschool, it is this idea of Nature Study that has maybe had one of the most profound impacts. Nurturing a love of nature has made our home life so rich, so beautiful, so joyous. Our children not only have a deep understanding of a wide variety of topics related to God’s natural world, they have a passion for nature. They find joy in the simple things and notice details and the beauty of creation. From eagerly and attentively watching and identifying birds at our backyard feeders, to stopping to notice newly blooming flowers and trees – they eagerly and independantly embrace Nature Study all the time! I never dreamed I was fostering this love when we were tromping through streams five years ago, but I can see now the result of so many hours spent outside. And I don’t regret a moment of it. I love how genuinely interesting, awe-inspiring, and soul-nurturing so many of Charlotte Mason’s methods are. I love her encouragement of many hours out of doors for children and Moms alike. 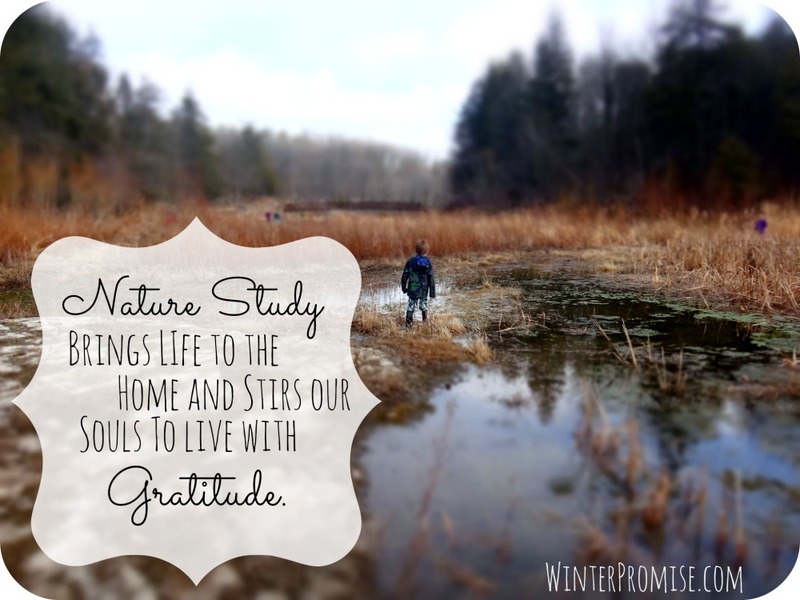 I can see the wisdom in her advice and I am living proof that Nature Study brings life to the home and stirs our souls to live with gratitude, reveling in the beauty of God’s beautiful world. This Spring we are eagerly anticipating plunging in, getting dirty and enlightened through our study of swamp habitats with Swamp Creatures from Spirited Autumn Hope. 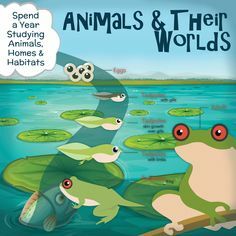 If you want to see what a full year of nature and animal study would look like for your family Click Here! 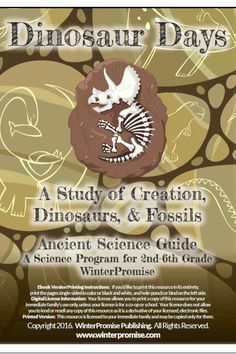 WinterPromise can offer you a wonderful program to enjoy with K-4th Grade students! We want to send out a big thank you to Cassandra for writing this article! 🙂 Remember to check out her blog called The Unplugged Family for more great articles! This is another one of our “Reviewer Focus” posts. 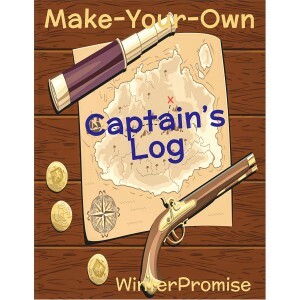 We want to know more about our reviewers and their experiences with WinterPromise! Enjoy! Hello Lisa! Tell us about you and your family? Where are you from etc! We are a family of 6. Our blessings range in age from 4-15. We’ve been homeschooling for 11 years and reside in the Sunshine State! What resources have you used in your time with WinterPromise? We’ve had the privilege of using the Japan Unit Study with our 5th grader and Journeys of Imagination with our Preschooler. What is a favorite memory you have using WP or Spirited Autumn Hope (SAH)? I absolutely love the cuddle time I have with my preschooler while using Journeys of Imagination. It warms my heart when he brings the schedule binder to me to hear the next story or do the next activity. How does your husband get involved in the schooling? He supports us in word, deed and prayer! I do most of the teaching in the early grades. He’s there for additional guidance and help for the olders who are doing advanced subjects. For you and your family what makes WP so unique? I love the well laid out schedule that includes hands-on activities. As a busy mom schooling multi-levels is a definite plus to be able to ‘open and go’ for the younger children. What program haven’t you tried yet that you want to try? Would love, love, love to try American Crossings 1 for my daughter. I’ve realized this year she thrives using the Charlotte Mason method! I’m Ready to Learn for my son for next year. 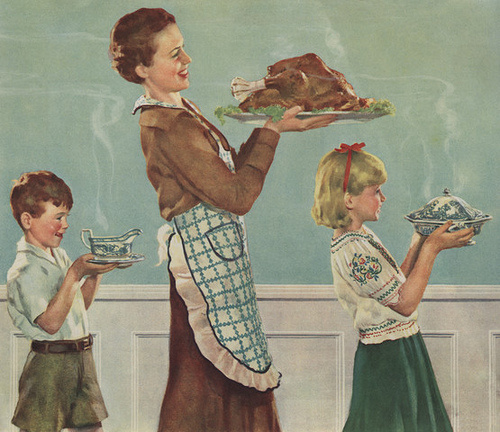 If you celebrate Christmas, what is a favorite Christmas memory or tradition you have? We decorate the house on the day after Thanksgiving while listening to the Nutcracker. My kids are a constant source of amazement to me. They are gleaning faith, knowledge, life skills and realizations NOW that did not come to me until much later in life. Think of all the heartache they will avoid! Thanks Lisa! What a blessing to see you and your family grow together.